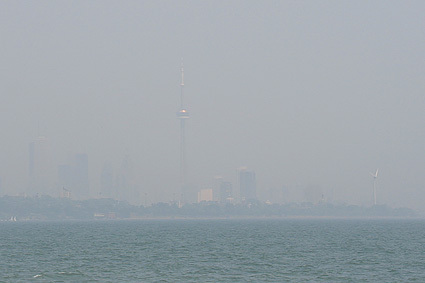 This was the view of the Toronto skyline around 2 PM today. It is so hot and humid that I actually found it difficult to breathe. I love Toronto but I can’t stand this heat wave.